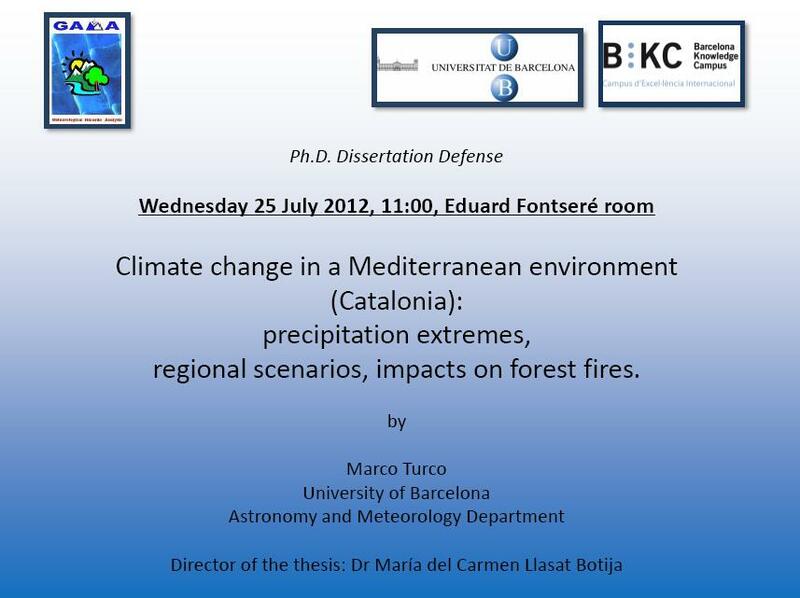 We analyse the recent evolution of fires in Catalonia (north-eastern Iberian Peninsula), a typical Mediterranean region. We examine a homogeneous series of forest fires in the period 1970–2010. During this period, more than 9000 fire events greater than 0.5 ha were recorded, and the total burned area was more than 400 kha. Our analysis shows that both the burned area and number of fire series display a decreasing trend. Superposed onto this general decrease, strong oscillations on shorter time scales are evident. After the large fires of 1986 and 1994, the increased effort in fire prevention and suppression could explain part of the decreasing trend. Although it is often stated that fires have increased in Mediterranean regions, the higher efficiency in fire detection could have led to spurious trends and misleading conclusions. We analyse the recent evolution of ﬁres in Catalonia (north-eastern Iberian Peninsula), a typical Mediterranean region. We examine a homogeneous series of forest fres in the period 1970–2010. During this period, more than 9000 ﬁre events greater than 0.5 ha were recorded, and the total burned area was more than 400 kha. Our analysis shows that both the burned area and number of ﬁre series display a decreasing trend. Superposed onto this general decrease, strong oscillations on shorter time scales are evident. After the large ﬁres of 1986 and 1994, the increased effort in ﬁre prevention and suppression could explain part of the decreasing trend. Although it is often stated that ﬁres have increased in Mediterranean regions, the higher efﬁciency in ﬁre detection could have led to spurious trends and misleading conclusions. M. Turco, M. C. Llasat, , A. Tudela, X. Castro and A. Provenzale. Aquest 25 de juliol a les 11 del matí, Marco Turco investigador del grup GAMA i del CMCC llegirà la Tesis Doctoral que ha estat dirigida per la Dra. María Carme Llasat. We analyse the impact of climate interannual variability on summer forest fires in Catalonia (northeastern Iberian Peninsula). The study period covers 25 years, from 1983 to 2007. During this period more than 16000 fire events were recorded and the total burned area was more than 240 kha, i.e. around 7.5% of whole Catalonia. We show that the interannual variability of summer fires is significantly correlated with summer precipitation and summer maximum temperature. In addition, fires are significantly related to antecedent climate conditions, showing positive correlation with lagged precipitation and negative correlation with lagged temperatures, both with a time lag of two years, and negative correlation with the minimum temperature in the spring of the same year. The interaction between antecedent climate conditions and fire variability highlights the importance of climate not only in regulating fuel flammability, but also fuel structure. On the basis of these results, we discuss a simple regression model that explains up to 76% of the variance of the Burned Area and up to 91% of the variance of the number of fires. This simple regression model produces reliable out-of-sample predictions of the impact of climate variability on summer forest fires and it could be used to estimate fire response to different climate change scenarios, assuming that climate-vegetation-humans-fire interactions will not change significantly.